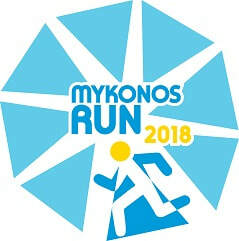 Welcome to the Mykonos Run, offering the opportunity to runners to enjoy a beautiful and route along the coastline of the island as well as get to see first hand why Mykonos is considered one of the most beautiful islands worldwide. Because it is the best way to combine running in a beautiful route and exploring one of the most interesting, exciting and beautiful islands in Greece and worldwide. It is a very well known island for its cosmopolitan feeling as Mykonos has become the most famous tourist destination, with its traditional architecture, the white-washed houses, the narrow streets and the exuberant natural beauty that surrounds it. We offer several options varying from short weekend breaks in Mykonos including your entry to the race, to a full vacation plan in Mykonos and the surrounding area! Moreover, we can offer you training plans, actual training in the streets and routes of Mykonos and of course we will run with you! Registration is open until Monday, 28th September 2015 or until a specific number of applications is reached. Participation can be obtained via online registration. Aid stations: There will be stations with water every 2.5 km and stations with energy drinks every 5km as well as in the finish line. Medal Awards (medals and certificates) will be awarded to the first three winners of the general rank of the Half Marathon for both Men and Women. A commemorative medal and certificate will be given also to all participants. All participantswill be timed using an electronic timing system. This offer is addressed to those who wish to come and stay in Mykonos on their own. It includes all the logistics of the race entry, transportation to and from the starting line, tips and advice for the specific race, training schedule depending on your personal targets and safekeeping of your belonging during the race. If you really want to feel like a champion, we are here to support you! This offer is ideal for those who want to experience Mykonos the “running way”, and get the most out of their visit to Mykonos. We have selected the ideal locations for you, and we will suggest you the ideal vacation plan. It starts from €130 per person (runner or not) for accommodation in a 4star or equivalent hotel. If you wish to stay longer in Mykonos, you may add as many nights as you want for an additional €60 per night person. This offer is ideal for those who want to experience Mykonos Trail Race, and get the most out of their visit to Mykonos. We have selected the ideal locations for you, and we will suggest you the ideal vacation plan. It starts from €599 per person (runner or not) per for accommodation in a 4star or equivalent hotel. If you wish to stay longer in Mykonos, you may add as many nights as you want for an additional €149 per night person. It starts from €749 per person (runner or not) per for accommodation in a 4star or equivalent hotel. If you wish to stay longer in Mykonos, you may add as many nights as you want for an additional € 149 per night person. It starts from € 1109 per person (runner or not) per for accommodation in a 4star or equivalent hotel. If you wish to stay longer in Mykonos, you may add as many nights as you want for an additional €135 per night person. Please tell us all your requirements and preferences, how many days you want to spend in Athens and Mykonos, what other places you wish to visit, activities that you would like to book, and we will come back with a tailor-made offer specifically for you! Rent a bike and discover Mykonos! Mykonos is the “Ibiza” of Greece. A beautiful island in the Cyclades, which looks just like the postcards: white little houses with flowers and blue windows and doors, hand painted streets, windmills, pigeon keepers, chimneys, lots of little churches and wonderful restaurants and cafes. Little Venice with bars and cafes that give on to the most beautiful sunset and people who give in to the most alluring temptations. The white windmills dominate the island. Although one of the smallest islands of the Cyclades complex, Mykonos is definitely the most famous, thanks to its treasure of natural beauty, rich history, cosmopolitan character combined with a wild nightlife, as well as plenty of local color. One of the top destinations in Greece, this island is famous for the vivid nightlife and the gorgeous beaches. Geographically located on the northern side of the Cyclades, almost in the centre of the Aegean Sea, Mykonos is the ultimate holiday place for all ages and preferences, especially for youth looking for all day and night entertainment. With the exception of Mykonos town, Chora, all over Mykonos you will see the typical Cycladic cubist style of architecture. Small, often single storey white cubes sprinkled over the landscape like little iced cakes. Mykonos town however offers a different architectural style that is unique in the area. Mykonos island is known for its gourmet restaurants and hip dinner spots, as well as its picturesque little tavernas by the sea, where one can down a glass of ouzo accompanied by delicious “mezedes”. Rich in fresh fish, delicious seafood and excellent local meat, the traditional Mykonian cuisine is a mixture of Mediterranean flavors spiced up by some authentic island inspiration. Make sure you try as many of the local specialties as you can and make some room in your suitcase to take back home as well. Alefkandra is one of the prettiest and most unique parts of Mykonos, in this medieval part of Mykonos houses, bright colored balconies and street practically hang over the water's edge very similar to Venice, hence the name 'little Venice. The area is also home to the famous five windmills seen on so many post cards, these date back to the 17th century and you get great views of little Venice and of the sunset. One of the most important sights of little Venice is the Paraportiani church, once again you will have seen many postcards picturing the white washed church. The church is actually five chapels all in the same complex, only one of these is open to visitors. The church dates backto 1425. The night life of Mykonos is easily one of the best in the world, it attracts all the top DJs and producers, the partying starts in the many beach bars which practically turn into nightclubs at night. Most of the major clubs and bars are in the main town, Chora, although you will find others throughout the island. The prices of the bars and clubs are very expensive compared to other islands so be prepared. Mykonos is also famous for having a lot of gay visitors, this is true and it is a very gay friendly place with quite a few gay bars and clubs.